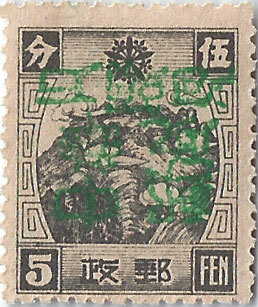 This is one of the very few green overprints. 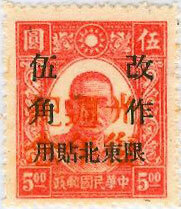 The top four characters read 中國郵政 Chinese Post. 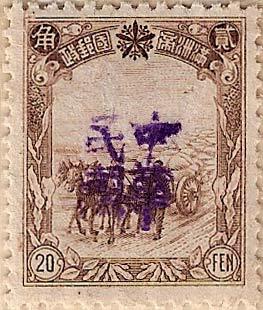 Full set of 8 values. 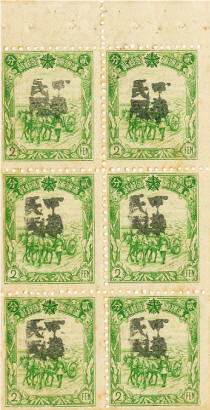 This set is repeated with black overprints. 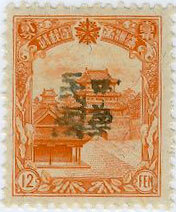 Beware - Poor quality fakes have been seen on online auction sites. 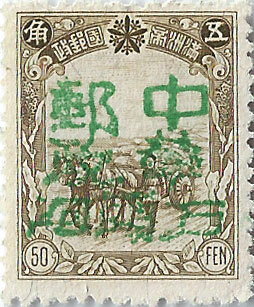 The second character down on the left is clearly based on Kerr's sketch which is inaccurate, genuine stamps are as shown above and below this set. 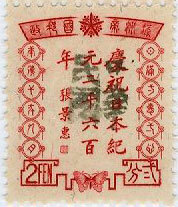 Full set of 8 values as above, in black. 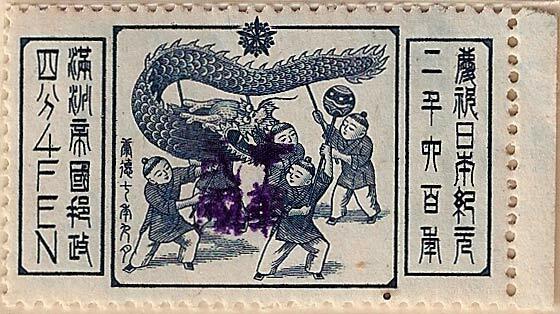 The top four characters read 中國郵政 Chinese Post. 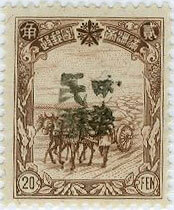 Beware - The poor quality fakes also exist in black.. 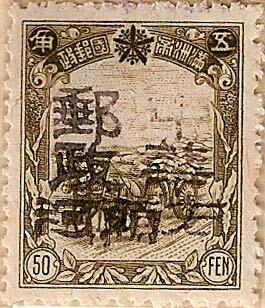 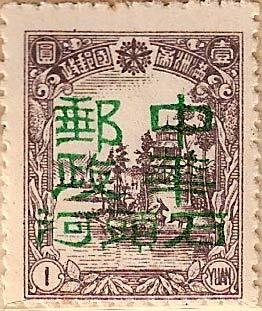 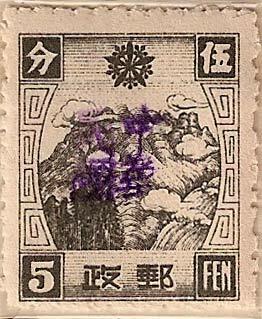 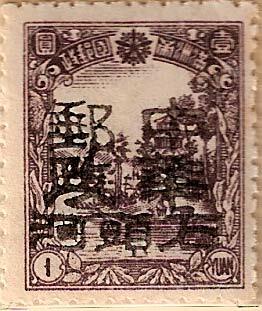 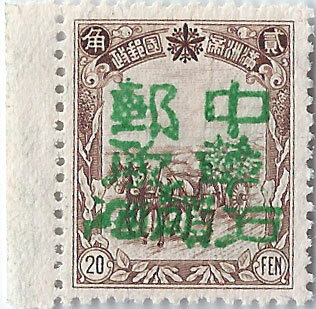 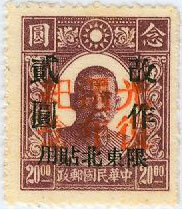 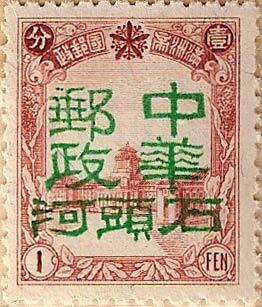 This is a full set of 16 values with a small violet 中華民國 Chinese Republic overprint. 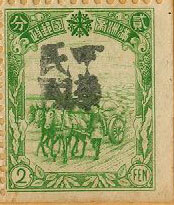 Booklet panes exist for the 1936 2f and 4f stamps. 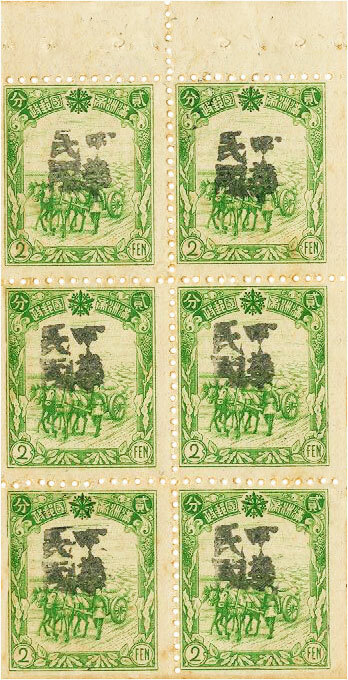 A set of 10 values overprinted in black. 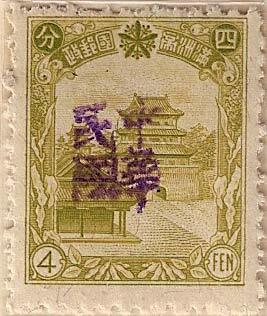 Booklet panes exist for the 1936 2f and 4f stamps. 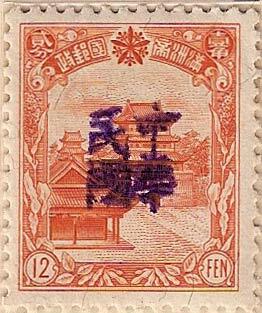 Unlisted Blue to Blue/Grey examples. 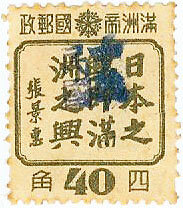 The 40f is not normally issued with this overprint. 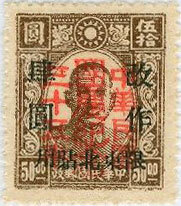 Both examples have been found used. 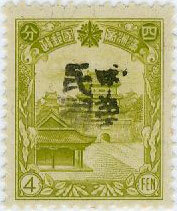 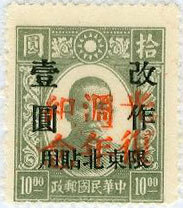 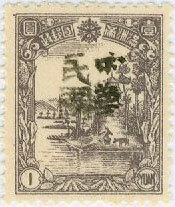 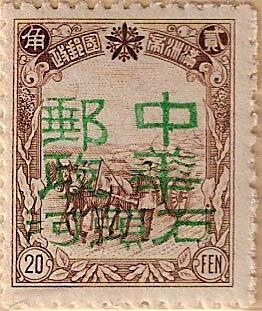 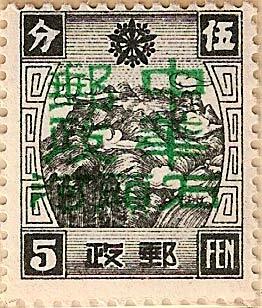 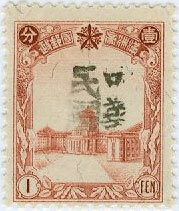 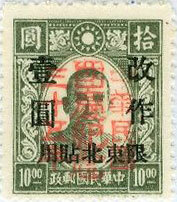 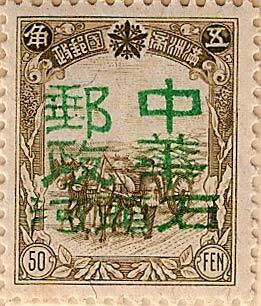 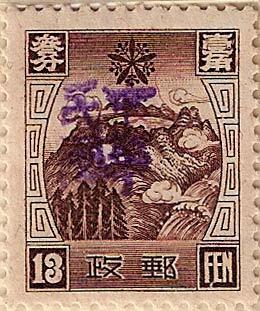 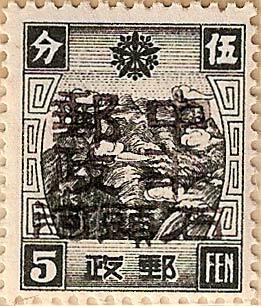 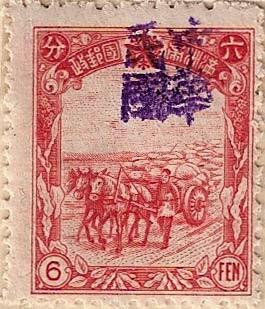 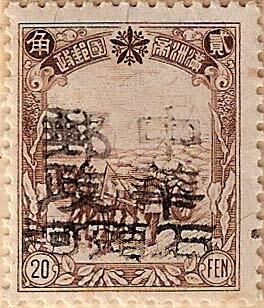 This is a soft vermillion 10 - 10 Commemorative on the North Eastern Provinces Issues. 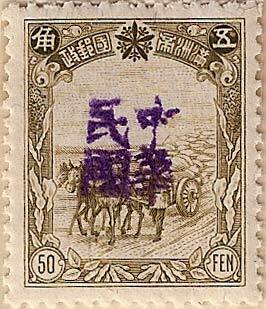 Kerr notes that First Day Cancels 10.10.35 have been seen on covers. 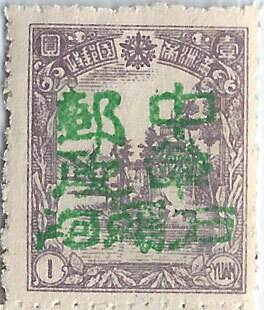 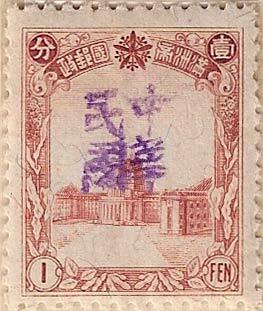 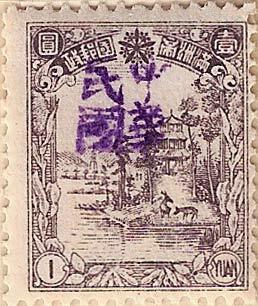 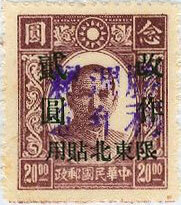 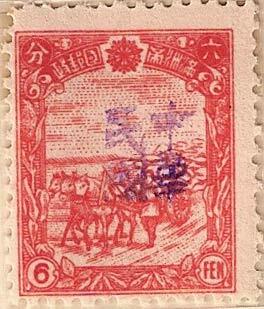 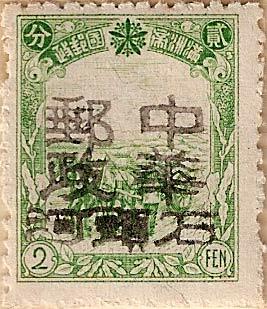 Victory Commemorative and surcharge in violet on the North Eastern Provinces Issues. 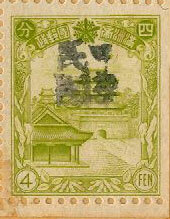 This is the full set. 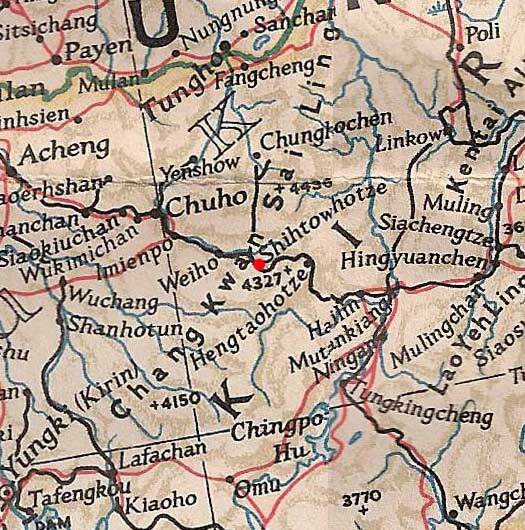 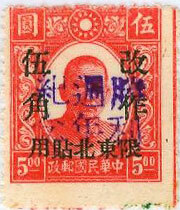 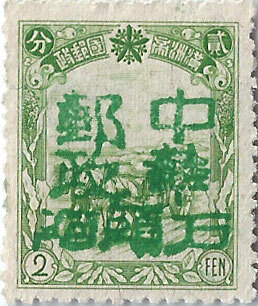 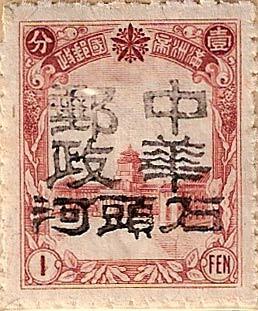 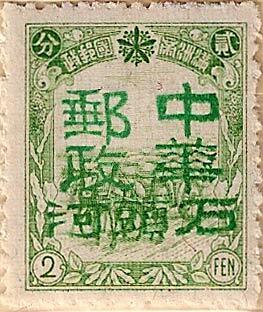 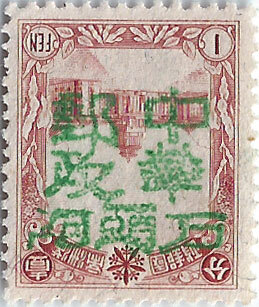 Victory Commemorative and surcharge in red on the North Eastern Provinces Issues. 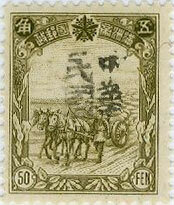 This is the full set.